Having a baby photo at home in Geneva for your baby’s birth is a real advantage to recover more easily after giving birth. Baby birth can be more or less complicated, giving birth either naturally or by c-section and for the mum, being able to recover at home is the best and most efficient. 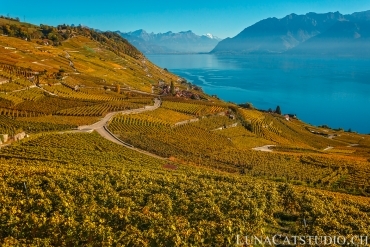 Knowing that, as a Geneva photographer, I make your baby photo at home in Geneva, or in France in the Gex region and in Haute Savoie. I travel often to Geneva for this type of newborn photo shoot at home, as it was for example the case for Eliana, a Geneva newborn. When a pregnant woman book her baby’s spot in my agenda, I explain that the photo shoot date of the newborn baby photo session at home will be defined after baby’s birth. 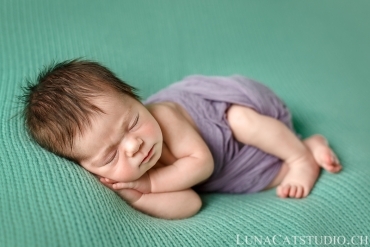 This allows me to optimize best the baby photo session so that your newborn will be at ease at home and you will therefore also enjoy this beautiful moment during which we will capture these gorgeous unique moments of your baby’s first days of life with newborn photo. 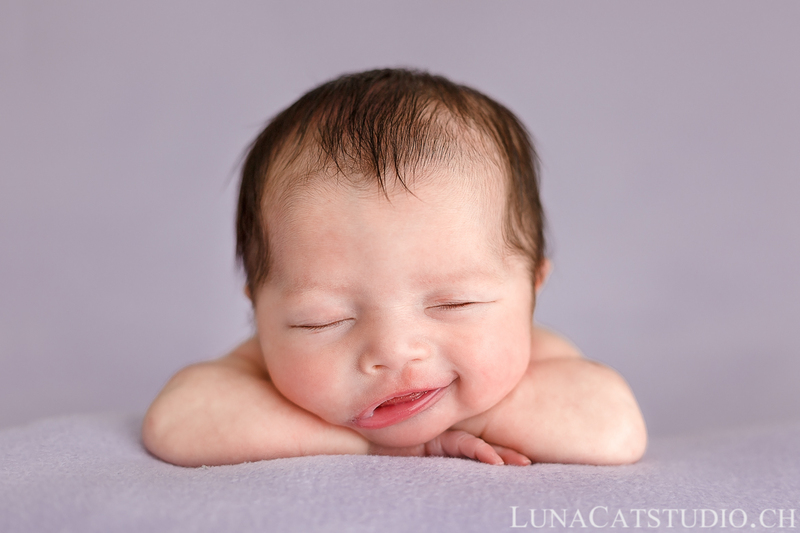 Only a few neewborn photographers make newborn photo shoots at your home as it requires specific logistics and being able to adapt to every lighting situation (may it be during the day or depending on the season of the year). Durgin this baby photo at home in Geneva, I met the lovely little Apolline and her whole family in the Geneva region. After a good small lunch, Apolline was ready to get to sleep. I did not get the time to see her eyes during her whole photo session at home. She was impressively efficient and, deeply asleep, she enjoyed every physiological pose I proposed her. Moreover, Apolline showed us great smiles that I could capture. Needless to say this baby photo shoot gave me a bunch of pictures to work with and it was quite difficult to stop the photo shoot with such a top model. On the back, on the tummy or on the side, baby Apolline was staying smiling. Apolline’s mother had prepared a special newborn photo prop that her friend has crocheted with love. 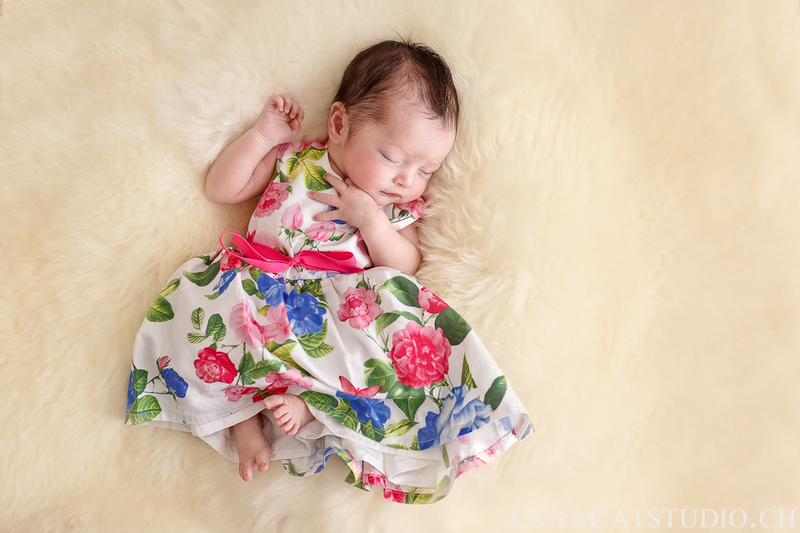 I therefore used this costume for a custom newborn photo and, seeing Apolline’s smile, it seems she liked wearing it! We did not forget making macro photos of baby Apolline as I love offering them to parents as these small details of baby are so interesting. A small flowery baby dress was prepared by Apolline’s mother and I particularly love how Apolline looks like a flowery and dancing princess. 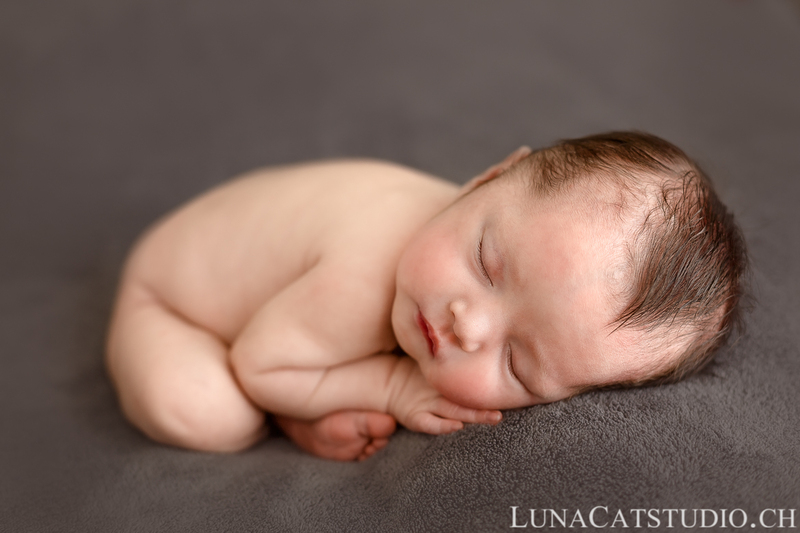 Follow the newborn photographer Geneva LunaCat Studio on Facebook – Google+ – Twitter – Instagram – Pinterest for other twin photo shoots. 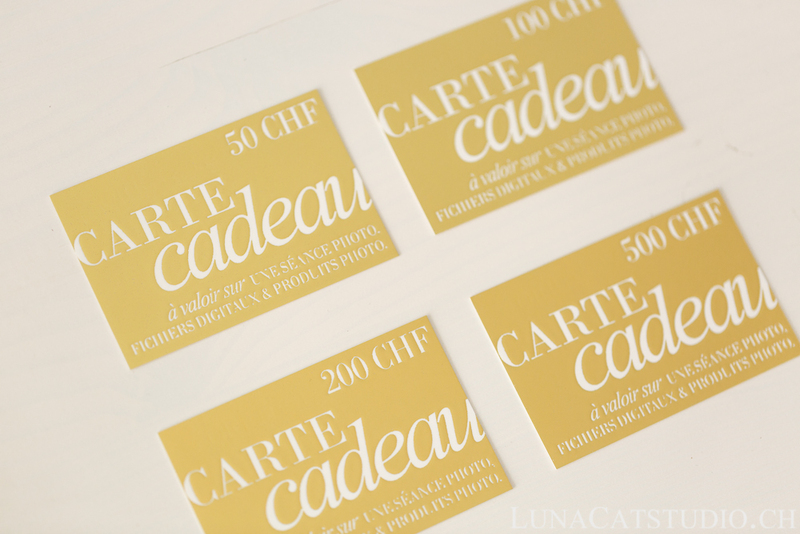 You can also offer a photo gift card towards a photo shoot. 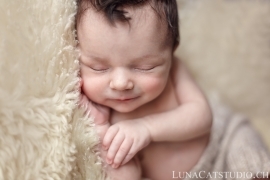 LunaCat Studio offers to new parents in Geneva, Neuchatel, Nyon, Gland, Yverdon, Lausanne, and France in Haute-Savoie, Ain, Jura and Doubs high-quality newborn photography at home. 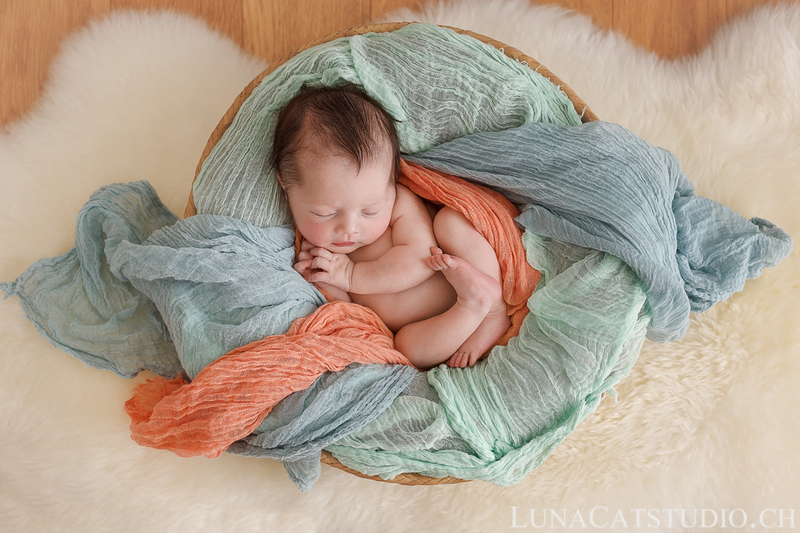 Based in Vaud, Switzerland, LunaCat Studio offers as a creative newborn photographer a unique treatment of your baby’s first days of life with artistic and wonderful imagery during a newborn photo shoot at home as a Geneva photographer. 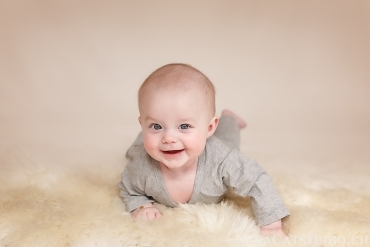 The baby photo session stays a privileged moment to immortalize the first days of your baby after her birth in Geneva. 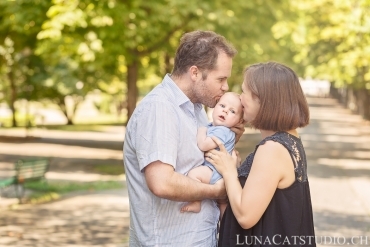 LunaCat Studio offers her photography for parents during a newborn photo session in Geneva, also in France in Haute-Savoie, Ain, Doubs and Jura and the rest of Switzerland in Morges, Nyon, Lausanne, Fribourg, Yverdon, Neuchatel, Vevey. 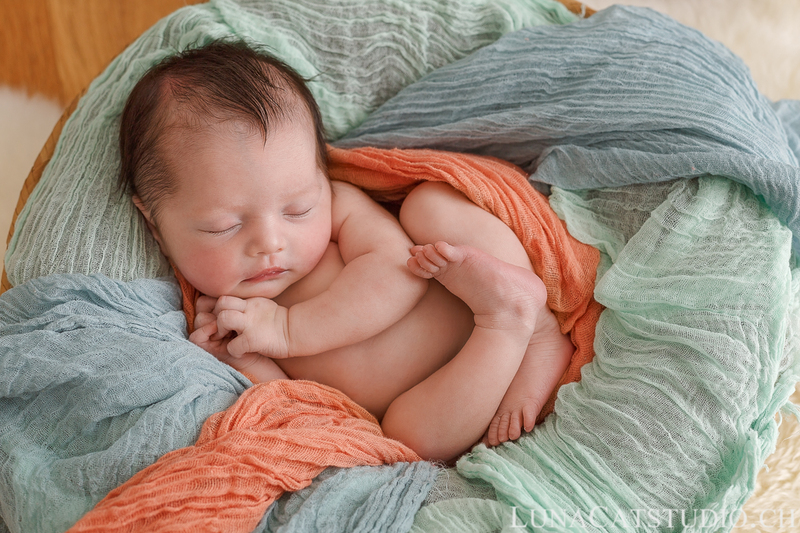 Contact me for more information on your newborn photo session. 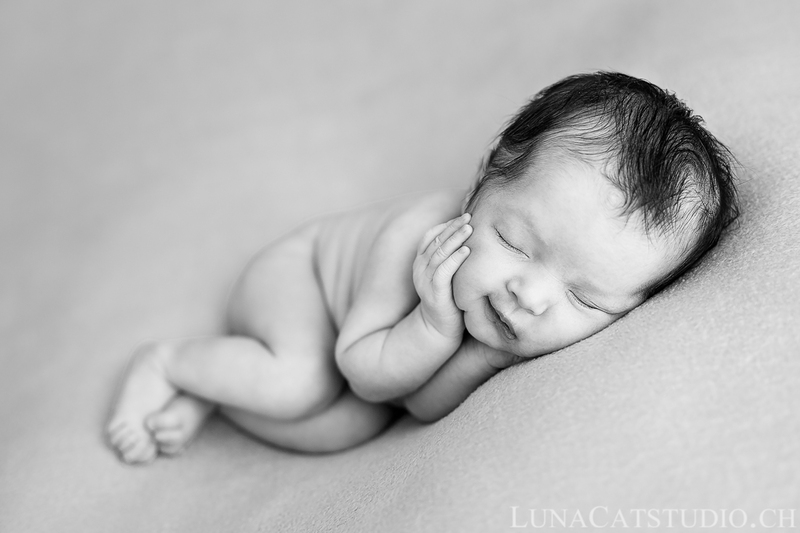 You are not looking for a newborn photographer in Geneva? 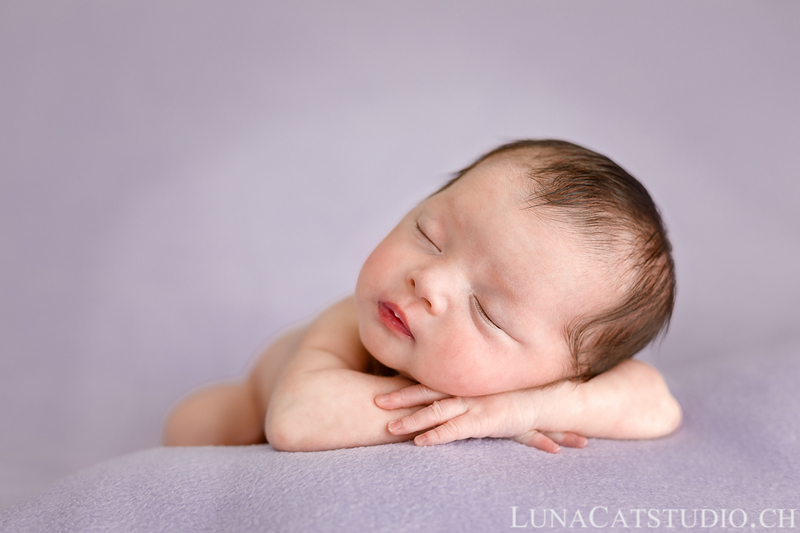 LunaCat Studio is also specialized in pregnancy photography, baby photography and family photography. 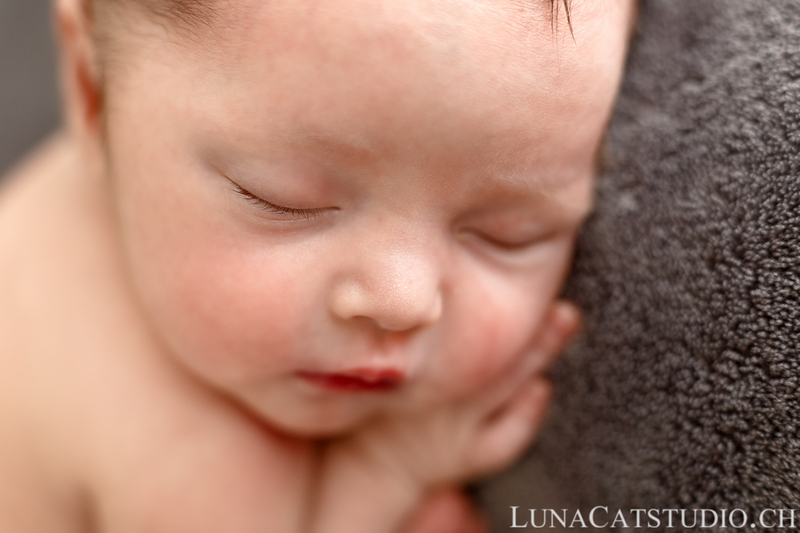 Do not forget to check out LunaCat Studio clients’ testimonials. Thanks Divya for your comment, I am happy you like my pictures. Apolline is a really cute baby and I must say it is hard for me to pick a favorite photo but you are so right about her smile!